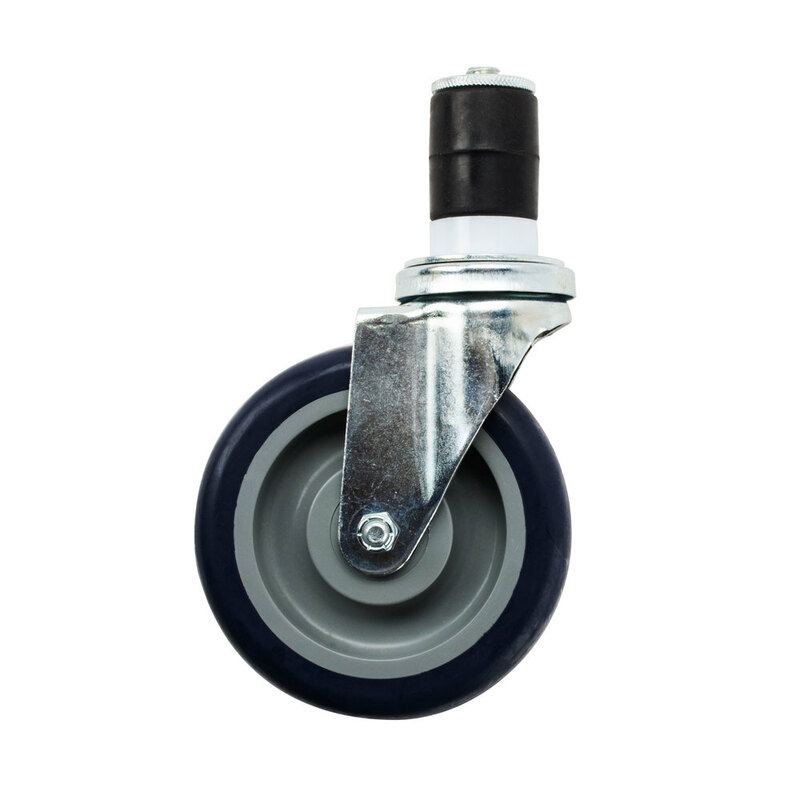 Raises equipment or tables by 6"
This Regency heavy-duty 5" polyurethane caster helps turn any work table or equipment stand into a mobile work station. It serves as a great replacement or non-brake option for heavy-duty applications and provides the versatility that a mobile table offers. Unlike a stationary table, it does not require multiple people to carry and relocate it for cleaning or maintenance; one employee can easily and quickly roll it aside whenever necessary. Plus, with a 300 lb. 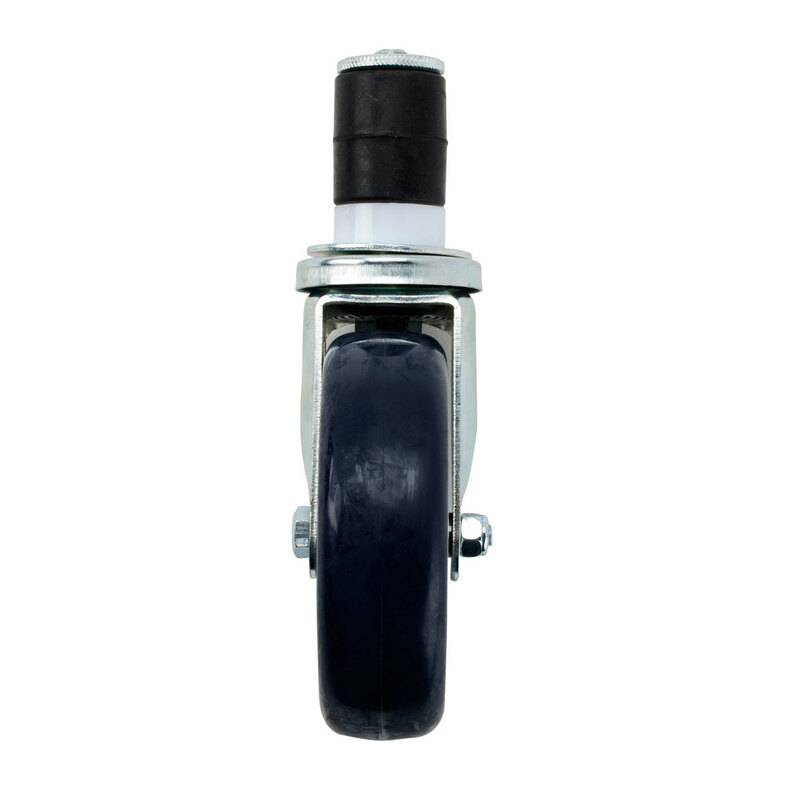 weight capacity, the caster is sure to meet a wide variety of commercial needs. 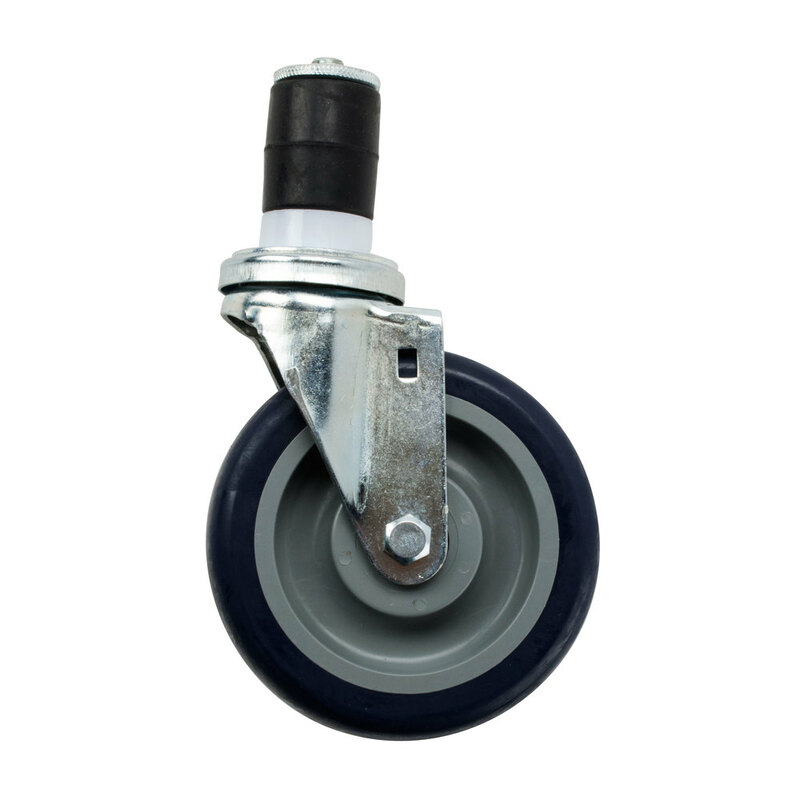 This particular heavy-duty polyurethane caster is specially designed to offer smooth transportation to keep items on the surface of the table as still as possible, preventing any spills or falls. 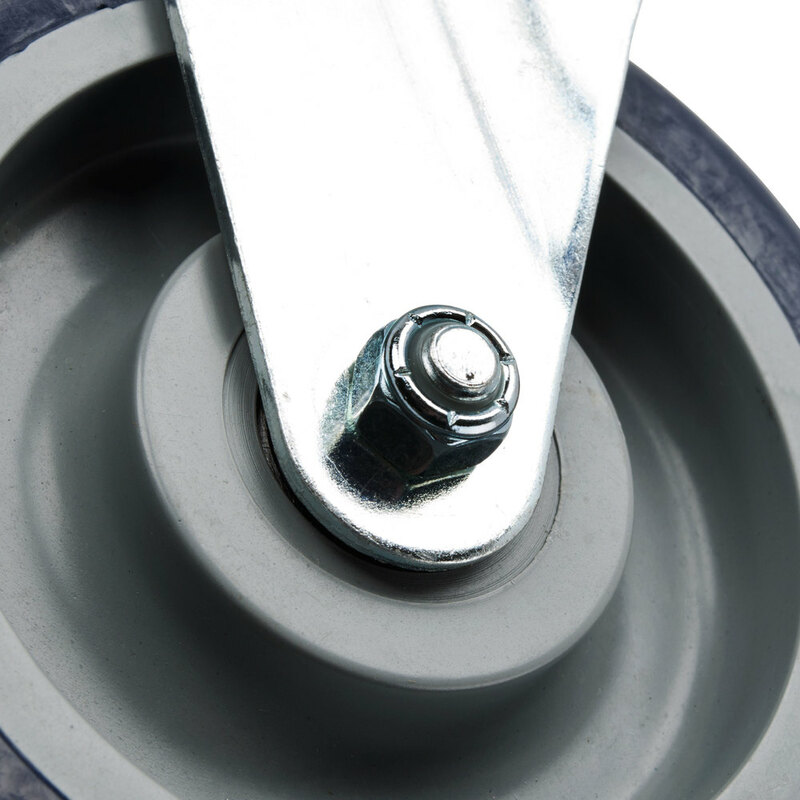 And because of its 5" diameter, it raises the equipment or table by 6", which can help lift the work area to a more comfortable, ergonomic height.